Julia is the Executive Director of the Japan Institute of Design Promotion (JDP) and a Professor in the Department of Visual Communication Design at Musashino Art University. She has spent most of her adult life working to help designers and students of design promote their work across national and cultural barriers. Born in Taiwan (Chinese Taipei), raised and educated in the United States and later in Japan, she has acquired a diverse cultural and academic foundation. Prior to her current appointments, Julia was Director of the International Design Center NAGOYA (IdcN). She has worked with major Japanese corporations, as well as with governments and academic institutions in over 39 countries across Europe, North America and the Pan Pacific Rim. She is an Executive Board Member for the Advisory Council of METI (the Japanese Ministry of Economics and Industry) to implement national design policy in Japan, as well as the Mayor’s Advisory Council on implementing the 10 year strategic plan (2010-2020) for the future of the City of Nagoya and strategic visions for the economic development of Central Japan Region. She has lectured at design conferences and academic institutions in over 31 countries. From 1997 to 2001, Julia served as an Icograda Vice President and Executive Board Member of the World Design Organization (WDO) from 2007-2009. 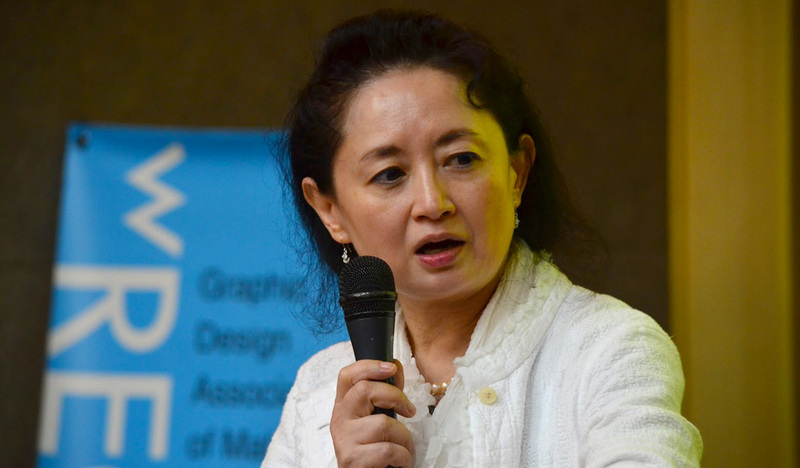 A recipient of the Mainichi Design Award (jointly with the 2003 Icograda Congress ‘VISUALOUGUE’ Planning team) and Icograda President’s Award, she has served on numerous competition juries including Red Dot Design Concept Award, Brno Biennial, Design for Asia Award, World Design Leadership Award, BIO, Adobe Design Achievement Awards and the Good Design Award (Japan).